Photo: Ethiopians in Washington, D.C. 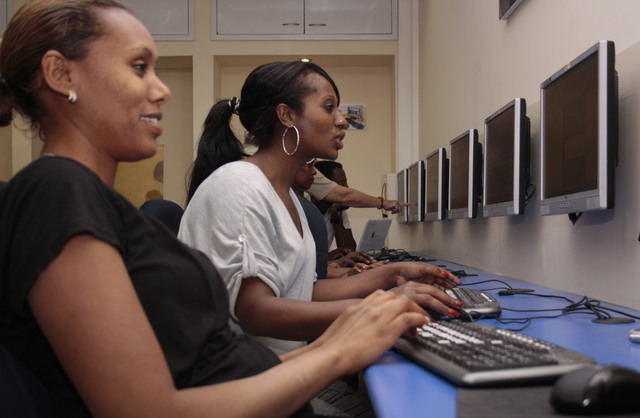 The Ethiopian Government is trying to reduce online criticism by training recruits to attack information on the web that is critical of its administration, the Ethiopian Satellite Television Service (ESAT) reported. According to the report, in the second round of new recruits, 235 bloggers were trained in Adama on Facebook and other social media sites on how to shape public opinion by posting comments and documents that support the regime's narrative. The training was given to selected people from different ethnic groups who support the regime, and that the trainees report directly to government officials, ESAT added. So far, the trainees have opened 2,350 Facebook, Twitter and blog accounts to show the Ethiopian regime in a favorable light, and to criticize anti-government articles, websites, the Ethiopian opposition and the Eritrean government. With a dismal one percent of people with access to the internet in Ethiopia, the intended target of the regime's online strategy are the Ethiopian and Eritrean Diasporas, an observer noted.